The decision by the local Green Party in Richmond and Kingston (in south west London), not to stand a candidate in the forthcoming byelection in the constituency, has been met with a wave of opposition from party members. If you are able to look at Green Party member's forums, Facebook groups and email lists, you will see the majority opinion of the contributors is against the non-standing decision taken locally. The byelection was caused by the sitting Tory MP, Zac Goldsmith, resigning and standing as an independent, over the decision to build a third runway at Heathrow Airport. Green Party rules and indeed principles are to leave decisions on standing and candidate selection to local parties, which I think is right, but I'm not too clear about the extent of consultation with members that has taken place. This is complicated by there being two separate local parties covering the Parliamentary constituency, (Richmond and Kingston) but it looks as though the decision was taken by a small group of activists. I may be wrong, but that is my impression. Further to this, it also looks like pressure was applied to the local party by the Green Party co-leaders, Caroline Lucas and Jonathan Bartley, who stood on a 'progressive alliance' ticket to win this year's party leadership contest. The leadership putting pressure on local parties not to stand is not a new thing. I remember the local party being discouraged to stand when Tory MP David Davis resigned his seat as a protest against government policy. Labour and Lib Dems did not stand, but the Greens in the end did, and finished second. Judging by the forums mentioned above, I'm not the only Green Party member who thinks the decision not to stand in Richmond Park is a bad one. I think it is wrong on many levels, and I'm broadly in favour of a 'progressive alliance' (anti-Tory is probably a better description), at the next general election, with a commitment to proportional voting for future elections. But this is not a general election, nor is there any agreement on an alliance, and in this byelection the Labour Party look set to stand a candidate. A broadly left alliance is just not credible if the Labour Party doesn't take part in it, which looks to be situation we will have in Richmond Park. I hear they have selected Christian Wolmar as their candidate. This byelection is also probably a unique opportunity for the Green Party to get heard, because the effective cause of it is a very green issue, airport expansion. The Lib Dems and probably Labour (as well as Zac Goldsmith, now Independent) are not against airport expansion per se, just at Heathrow Airport. They are quite happy for an expansion at Gatwick Airport, where less fuss has been caused by local residents, and it now looks as though the Green Party is in agreement with this line of policy, by the very inaction of not standing. We could well have got a lot of media attention to put an alternative argument, which is our policy after all, and may have got a reasonable result. In this constituency we got 6% in last year's general election, and although politics has changed, with the airport issue, we could probably do better than that. The other thing that jars here, is the Greens endorsing the Lib Dems, who are responsible for all of the austerity misery we have been put through for 5 of the last 6 years, and Green Party members know from experience how unprincipled Lib Dems can be. Say anything, if you think people will like to hear it, kind of thing party. They thrive on nimbyism, but now we will be tarred with the same brush. 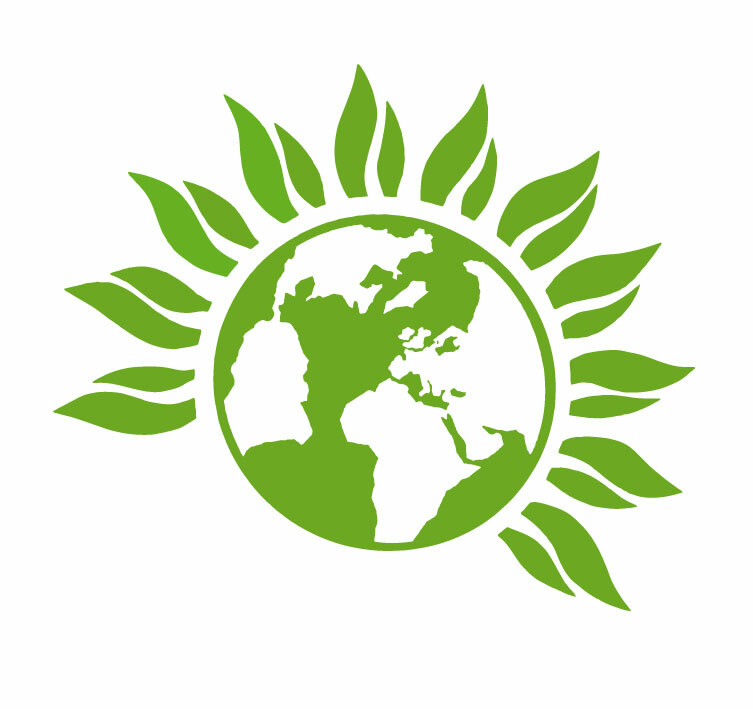 The way all of this seems to have been handled, is causing a lot of disquiet in the Green Party, and is definitely not a template for a 'progressive alliance' in the future, in my opinion. If this type of thing carries on, I fear the Greens will lose a lot of members. If we can reach a one off agreement for the general election, with a commitment to future proportional voting, then OK, I can go along with it. But we first need to get this agreement, and byelections anyway are not part of the bargain, and should be approached dependent on the local and national circumstances at the time. Anything else, I think, will destroy the Green Party, just when we were getting a toe hold in the political system. I hope sense prevails in the end. "This is complicated by there being two separate local parties covering the Parliamentary constituency, (Richmond and Kingston)...."
How would things be in the wake of proposed boundary changes for London parliamentary constituencies? In my haste, I forgot to add my name to the above 'anonymous' posting. I'm thoroughly baffled by the whole thing. I've even tried to get some sense out of the local branches and the candidate. Although was she ever a candidate anyway? No one seems to be able to say. The principle seems to be that if we stand down that makes it a de facto alliance withe the LDs. The statement from the branch says they have had 'discussions' about LDs standing aside in next year's local elections, but no firm commitments as far as I can see. So essentially it's just wishful thinking. True, it's a seat we can't hope to win, so standing aside really loses us nothing in electoral terms. But it does lose us credibility with local voters and makes us seem like little more than a side issue facilitator for the LDs. It also tacitly endorses tactical voting which Greens have always railed against in the past. Finally it of course removes the chance for local Green issue supporters to vote for the one party that should have the most visible platform on the main issue involved. It's naive tokenism in my opinion and it won't do us any favours. This isn't the way to force the issue on an alliance. That has to come from mutual agreement and co-operation which must above all be transparent to the electorate. I'm beginning to find Caroline's doggedness over this issue annoying. Green Left calls for a review of the decision not to stand in Richmond leaving voters a choice of candidates from parties with a record of supporting austerity and not seriously aiming to tackle climate change by opposing all airport expansion. Green Left supports a full meeting of all members in the Richmond Constituency with all members invited, to reconsider the decision not to stand a Green candidate in the forthcoming by-election given issues relating to party democracy. You seem to be alleging above that pressure was applied to the local party by Caroline Lucas and Jonathan Bartley, and that the local party's membership weren't consulted properly ("the decision was taken by a small group of activists..."). I think those are pretty bold statements to make if you don't actually have any solid evidence, though if you do have any, it needs to be seen and heard. I find it difficult to imagine a scenario where the votes or decisions taken by any local Green Party would be swayed or pressured by any other party member, leader or otherwise, from outside their constituency - it runs contrary to all my experiences. Well ,it has not been denied that a full consultation was not done here, and indeed a member from Kingston Party commented on the Green Left Facebook page last night that this was the case. No full consultation. He has now resigned from the Green Party. Good to have the discussion. Importantly local GP is not endorsing the LibDems. The decision was made constitutionally, but the process was rushed - lessons for all. The local Richmond GP is receiving more support locally, and is campaigning hard during the by-election looking to the 2018 local elections. People understand need to get Tories out and get PR in because only the Tories can win General Elections under the silly existing system. We either change the system to get proper representation and power or stay a protest party while the country is in a terrible dangerous state under an extreme government. Need more dialogue within all parts of the GP and with voters. LibDems, Labour - both would screw over their own mother. I have read of others who have left the party over this. I am on the brink myself, If the Greens won't stand up and fight, just what is the point? Labour and the Lib Dems have no interest in a progressive alliance on any terms other than their own. It seems whatever way it swings, Greens lose. I agree with you and am asking myself if I wish to be a member of just another pressure group or a political party. At first I was more of an abstainer on the matter of Green Left stance on this matter. Now I am becoming more supportive of our Green Party not standing in the Richmond by-election though ultimately it is the local parties' decision. I abstained largely because I don't do the electoral leafleting for my own branch any more, let alone a distant constitutency. Running a by-election campaign is especially labour and capital-intensive. Now that the matter has become much more 'full-blown' I have observed how much it has consumed members' attention to the exclusion of what this Government is doing in, say, the Work, Health & Disability Green Paper. This Government is getting away with corporate manslaughter if not mass murder, and I believe the Richmond by-election discussion is 'splitting hairs' over a by-election to the exclusion of getting back to me over my concerns on a 'green light for psycho-coercion' Green Paper. I find that very draining and frightening, especially as I was a very long-term unsuccessful disabled jobseeker before I eventually got help to win ESA through tribunal. I believe it better to think strategically and do what we can to bring down this awful Government before a 2020 General Election and certainly before any of its even greater attacks on vulnerable people can be enacted. Indeed this government is getting away with corporate manslaughter/mass murder. But let's not forget that it was the Lie/Dems who enabled it all by putting them in power. How on Earth can Greens support the vile Lie/Dems like this? It makes no sense at all. Whilst the other candidates may be anti-Heathrow expansion, their Parties are not. It doesn't matter if the candidates are against it because they will have to toe the Party line or resign the party whip - as Goldsmith did - if they want to stand against their party. So the only candidate standing against Heathrow is actually Goldsmith. He also looks like a 'principled' MP because he stood by his word to his electorate and resigned over it (voters like integrity even if the Lie/Dems don't get it yet). I find it hard to tell if we're supporting the Lie/Dem or the Tory? I think the Tory is more likely to pick up Green voters because of the airport issue... so standing down is just helping a Con/Dem which ever way you look at it. It's a Green spin doctor's nightmare. IS THERE AN UPDATE ON THIS ?